Enjoy the rich texture of UK culture and history, combining Scotland's highlands and historical cities with the hum of metropolitan London. One week each in personally selected, private apartments in the area around Stirling and in downtown London. Suggestions for booking your international flight from the U.S. to London. A transit pass good for London's transit system. A stash of groceries upon your arrival in each apartment, so you don't need to dash off to the grocery store right away. An orientation with our on-site representative. This will include information on the public transit system, suggestions and practical advice for sightseeing, tours and reservations. 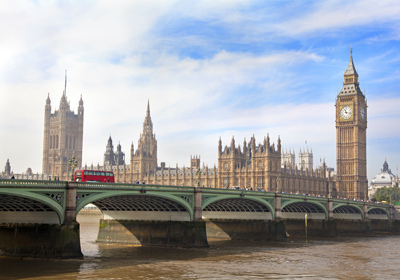 An Untours sponsored group activity in London, such as a tour of an historical site. Transit between London and Scotland. Transfer assistance from/to rail stations in London and Scotland. Guidebooks for London and Scotland, driving map for Scotland. Local transportation in Scotland: automatic transmission car rental with unlimited mileage or train pass (additional cost) or pay-as-you-go option (reduced cost). Use of an Untours GPS while on location if you are driving. An orientation session by our superb on-site staff members with current information on local events, concerts, and festivals. A local cultural event with our local staff person. Lots of pre-trip planning advice from our staff, available by phone or email right up until you leave. Ongoing support via telephone with our local representatives - help available when you need it.